Netflix and Judd Apatow are in "Love"
Netflix and Judd Apatow are going to make "Love." The streaming service, well-known for original hits like "House of Cards" and "Orange Is the New Black," announced Tuesday that it's getting into business with comedy kingmaker Judd Apatow. Apatow ("Knocked Up," "The 40 Year-Old Virgin") and "Brooklyn Nine-Nine" writer Lesley Arfin have been given a two-season commitment to develop the new comedy series called "Love." Two seasons is a big commitment for Netflix -- and for any network -- and it goes to show just how much the company wanted to be in business with the comedy director. He already produces "Girls" for HBO. 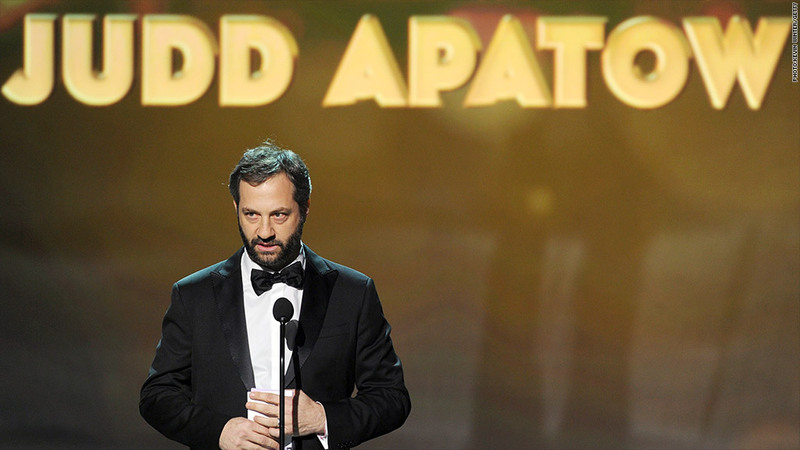 "Judd Apatow has a unique comedic voice that manages to be delightful, insightful, and shockingly frank -- often at the same time," Netflix chief content officer Ted Sarandos said in a press release. The half-hour series, produced by Apatow and Legendary Television, will star Paul Rust ("Inglourious Basterds") and Gillian Jacobs ("Community") as Gus and Mickey, two people trying to make their way through the awkwardness that can be modern love. Apatow has a great record of creating popular comedy content and Netflix could use more original comedies, so "Love" is a fit for the online network. It ordered 10 episodes for the series' first season in 2016 along with a 12 episode run the following year. Netflix will own rights to the show in all the parts of the world where it operates.